Should We Update the Sky Viper Firmware? Referring to the Wiki section here, " Which firmware to use?, does anyone have experience with how each version performs? In other words, do the new features (i.e. SmartRTL) in the latest Sky Viper firmware from ArduPilot outweigh using the safer official firmware from SkyRocket even though we lose some features (i.e. ability to control vehicle during RTL)? Does the answer change whether you are using a v2450 GPS or Journey? Is anyone compiling their own version? By upgrading firmware to master, you will lose ability to edit flight parameter through Sky Viper Web interface. Other than this, newer master is better for me. Rest of web interface is usable and very useful. Thank you for your reply. Are you using the v3.7.0 firmware from here? I bought the 2450 GPS version rather than a Journey based upon Matt’s post that the hardware was simply better. I have read that the stock transmitter has range issues and many users are binding their SV to an OrangeRX DSM2 module. I can see the advantages of using one my Taranis radios with the 6-position knob. But can you still edit the parameters through a program like Mission Planner after the update to master? And the Orange DSM2 module does work well. A bit finicky getting it going but it’s nice to use the Taranis and your typical RC control scheme for the Skyviper. You can get the video in the Mission Planner HUD also if you like. I have used my DJI goggles with an HDMI input from a laptop running MP. Yes, should be ok. That url points to daily build, newest one. Current newest Copter release is 3.6.5. Daily build may contain new issue and probably should go back to the date of 3.6.5 release to be safe, but I have not hit yet. You can update back to Sky Viper firmware any time. I build firmware in my environment because I need plane firmware as well. I agree 2450 flight controller set is so nice. Compact, low cost and high quality. Can get controller set from eBay seller. Consumed 10+ sets already. I have a new 2450 GPS version with stock software. I can connect easily to Mission Planner or QGC but cannot get the UDP video to show like the example in the APM Wiki here. The video does properly show up in the Web server and the Sky Viper Video app. Has anyone else gotten that to work? Do I need to update the Sonix firmware? Currently only x64 is packaged for use with mission planner. Install gstreamer to a default location. I suggest 1.9.2 gstreamer, and, if the remote video source sends to port 5600, MP will automatically display it on the hud. Hi Greg-Yes the video works pretty well in the MP HUD. I use my DJI goggles with an HDMI input from a laptop running MP. It’s serviceable. I tried the VLC app also but the lag is terrible. There seems to be another step missing. I thought that all I needed to do was install gstreamer but Mission Planner comes up with a warning and question when booting. "A video stream has been detected, but gstreamer has not been configured/installed. Do you want to install/config now? What setup is required to make the SkyViper video stream to the MP HUD? Ok, I got it. It does work great once you know how to set it up! In Mission Planner, right mouse click on the HUD and select “Video” then “Set GStreamer Source”. Change the IP setting and port for the SkyViper video in Sonix board. I was just about to reply to say I used VLC but great you got it going. I wrote a GitHub issue to update the WiKi. Everything else on the SkyViper v2450 GPS was easy except for the cryptic info to display on the HUD. 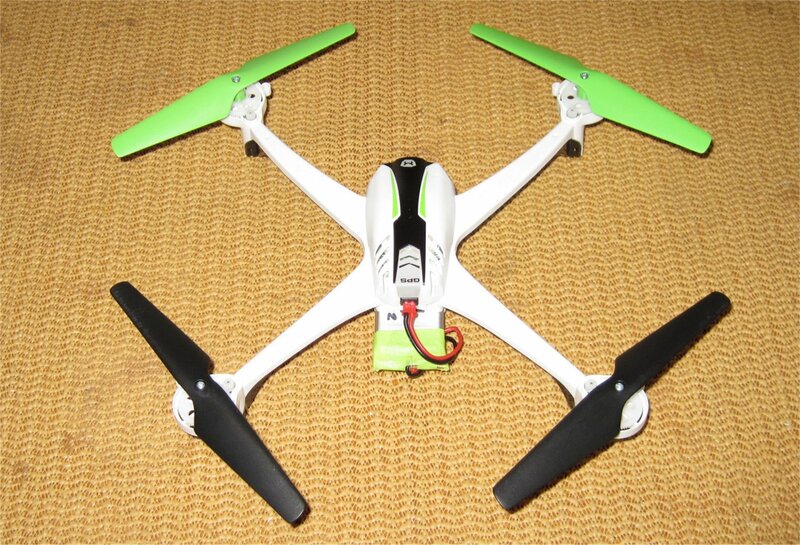 I have to admit that I am very happy with my $80 SkyViper v2450 GPS. Apparently, my version was originally sold at Toys-R-Us and I picked it up on eBay. I saw one guy was using a Li-Ion cell that was 3500mAh. I might need to try that next for increased flight time. 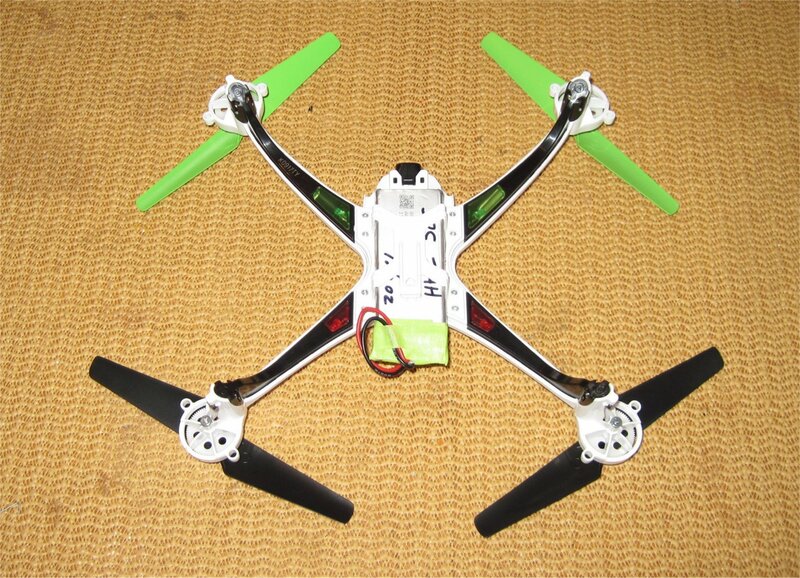 It looks like this LiPo cell provides a 15 minute flight with good current delivery. You buy a 2-cell pack and split it up. Randy updated the WiKi from my pull request so that is all set. I ordered one of the Venom Fly packs above direct from Horizon Hobby so I can get longer flight times. Greg , I have an issue with firmware upgrade on a Skyviper Journey, it cannot bind after upgrade. I have opened an issue here ArduPilot/ardupilot#10418, does not affect the v2450 gps as @Satoru_Sasaki has already confirmed , but I want to mention as it is ‘‘in the family’’, I’ll update when resolved. I’m still using the stock firmware and transmitter on my v2450 GPS. It’s working very well and Mission Planner interfaces perfectly with both the telemetry and video. It seems that Android apps are a bit lacking in general for the SV. You can either connect via MavLink or video but not both. Anyway, the SV is my first APM with a companion computer and I think I’m hooked! I only had problems with MP when the Windows firewall was enabled. Disabling had everything working perfectly. I just tested the Venom Fly 30C 2AH cell and I’m very happy with it. The 2s pack from Horizon Hobby makes for two 14 minute flights and it fits right in the battery bay without modification to the SV. No issues with balance or flying. Note that the assumption here is that you need to disassemble the Venom 2-cell pack and solder JST connectors onto each cell. This requires soldering skills, a voltmeter, and caution. I’m using the latest firmware from SkyViper now. Android and Ubuntu QGC work fine for simultaneous video and data at least for my SV Journey.